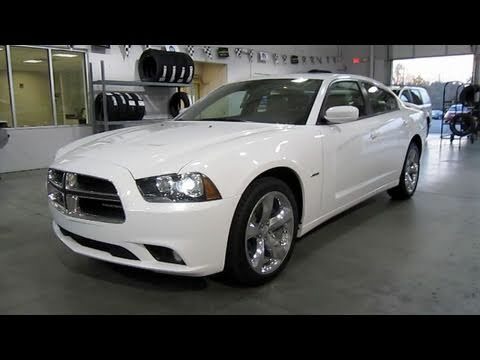 If you need room for family members or business clients, but can't stand the thought of driving a generic four-door sedan, the 2011 Dodge Charger may be your savior. With a 292-horsepower V6 and an available 370-horsepower Hemi V8, the Charger can easily satisfy your need for speed as well as provide a comfortable perch for four adults. The hemi is a real monster in this vehicle. I don't really have any problems with the vehicle. It is very reliable, I have not had any problems with it in the summer or the winter. The performance is great the hemi puts out so much power. It is very comfortable to drive and is a head turner when it is going down the street fresh out the car wash. It has a lot if features like the back up camera that works great and it lets you know exactly how far you are from whatever is behind you. It has mirror warmers so your mirrors are always clear. The factory sound system is great it sounds like you have put a sound system in the vehicle. Dependable, powerful car with a few hiccups typical of Dodge/Chrysler vehicles. This car has a lot of power. Durable but has been involved in several Jeep/Chrysler/ram recalls, particularly with the alternator. Another issues with this vehicle include computer issues, faulty trunk button which triggers at random moments, leaving your trunk open and exposed until you notice and are able to close it. Interior is comfortable and roomy. Large trunk. Great heat/ac module. My Dodge Charger handles even better than it looks. Whether driving in stop and go traffic in town or highway driving, the handling is fantastic. I love that the truck can hold more than my van did. I love the comfort of the driver's seat. My car has a great power and a smooth ride. It also gets better gas mileage than my van did. My Dog has a great safety rating so I feel comfortable with my grandchildren in my car. The only thing I dislike is tall people have a hard time getting in and out out the car. Chrysler will notify owners, and dealers will replace the headlamp jumper harnesses and bulbs, or the headlamp assemblies, as necessary, free of charge. The recall is expected to begin in April 2014. Owners may contract Chrysler at 1-800-853-1403. Chrysler's number associated with this recall is P08. This recall concerns non-police vehicles. A separate campaign was launched in 2012 to address police vehicles. See NHTSA recall 12V-042.